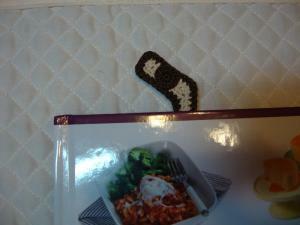 Here are pictures of two bookmarks I just finished. 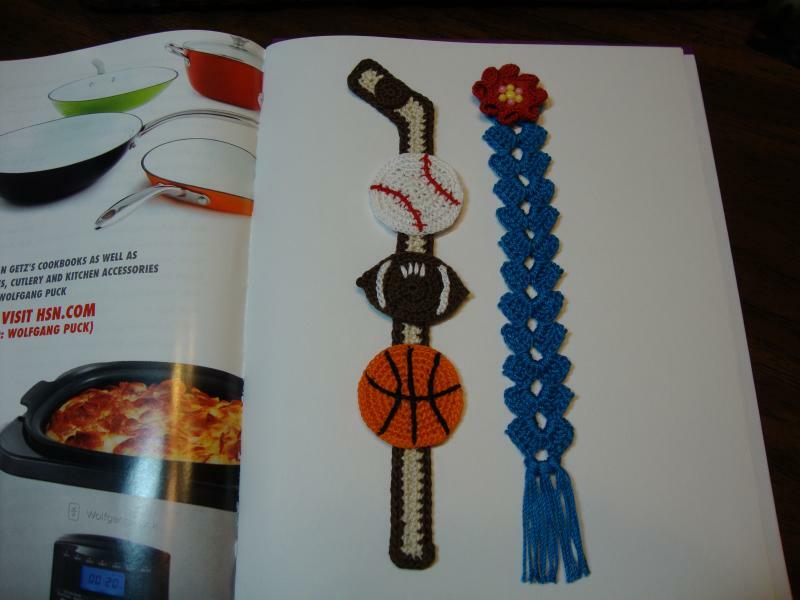 I made that "Sport Lovers" bookmark for a very special lady. 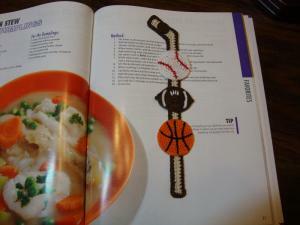 I know she & her husband loves sports:). I hope she or her husband will like that and use that:). I do not have patterns for that. 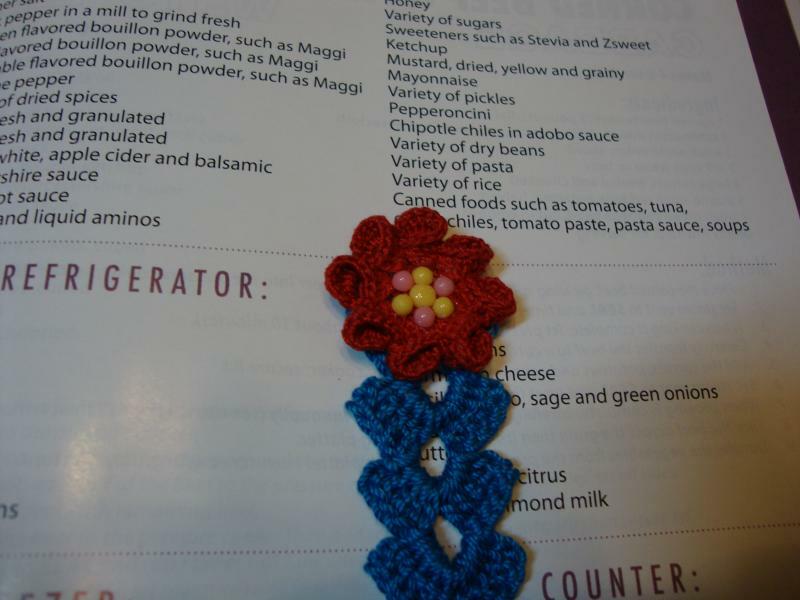 I made that using crochet thread # 4 & # 10. Both of them are 9" long. 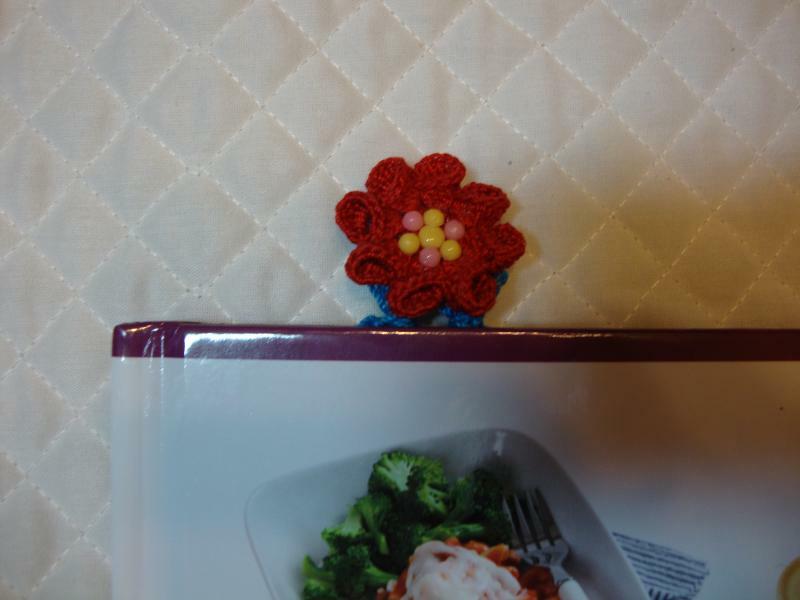 I will sprey couple coats of that fabric protector sprey on them. That way they will keep looking "New" & clean for many years. They're both darling! The sports one is very clever. Very pretty. Love the sports one also. The flower is pretty also. 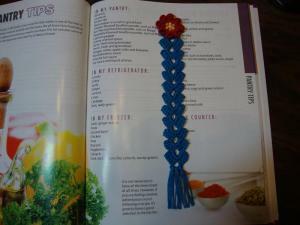 Both are great, you make fantastic bookmarks! Very nice, the sport one is so clever! They are both great but, I especially love the sports one! 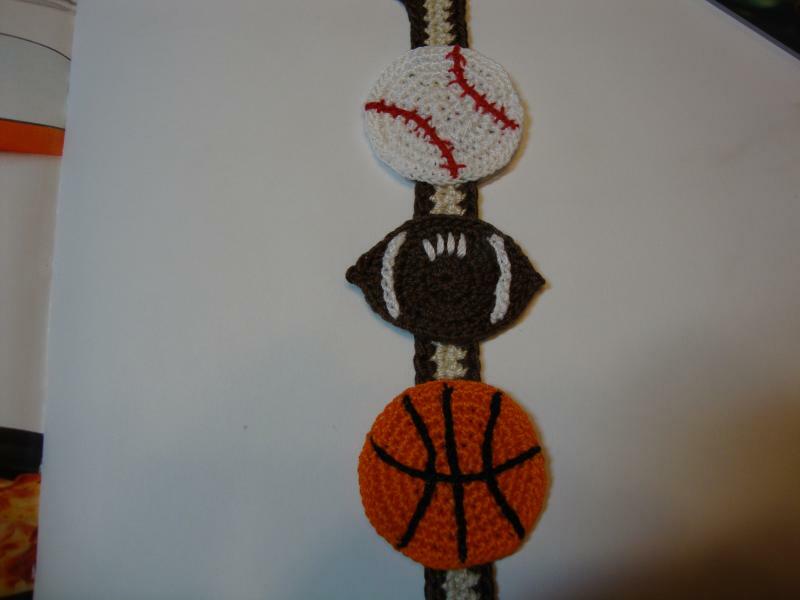 *** Ooooh I just found the sports one on Ravelry. That may just be my next purchase! 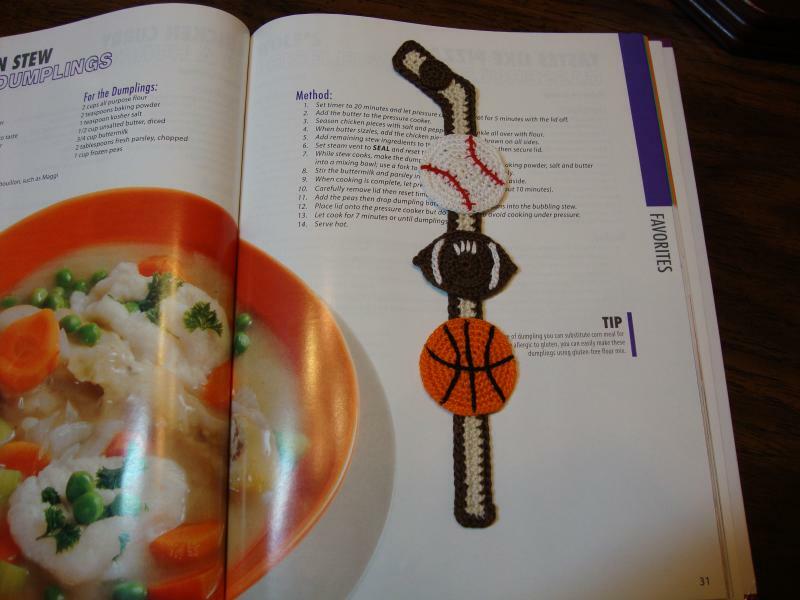 I just did the search now for a Sport bookmark. 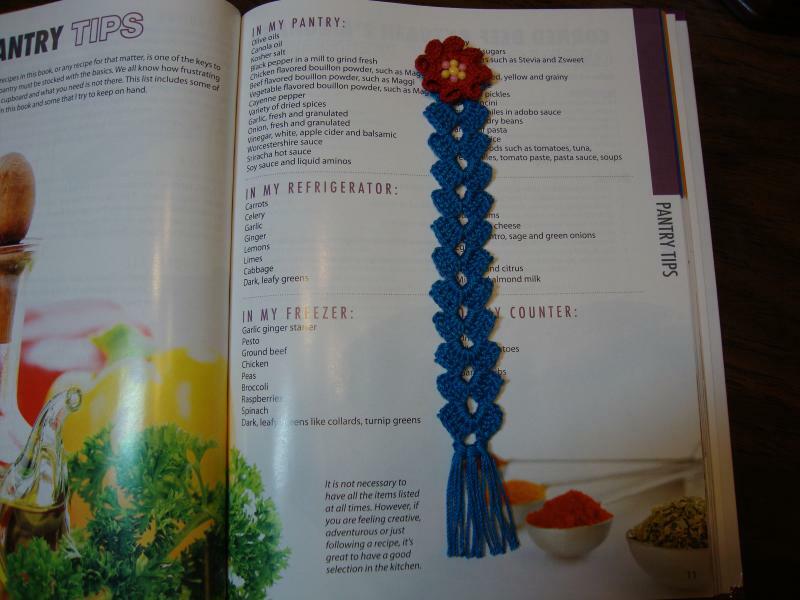 One of them was shown on Craftsy, but I think that was ready made bookmark. I think the price was $24,00. I would not want to make that for that price. That is very time consuming... those balls-embroidery.